Almost everyone has heard of free range, cage free, certified humane, free run, or ‘naturally raised’ animal products. Most corporations will state they have a huge commitment to ‘animal welfare.’ Some companies, when exposed for their gruesome practices, like castration without pain relief or gestation crates(stalls so small pregnant pigs cant turn around), they will try to put happy face on it. Piglets aren’t bothered by castration ( their screaming indicates otherwise), pigs love to be in their crates ( well that is just an idiotic argument, no animal likes being confined), they need to be in crates or they will kill their babies (not true). They have to cut off their tails, because pigs are aggressive and will bite them off. Well, they will, when severely confined. But they don’t in sanctuaries. Lobsters don’t feel pain when boiled alive, even though it has been proven they do, and remember the pain. Cows don’t have maternal bonds( they most certainly do, I have seen it). 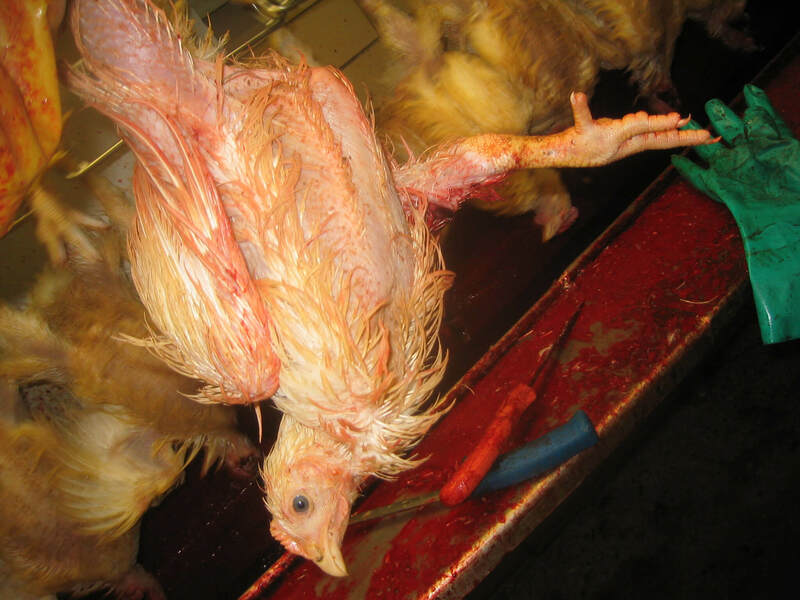 They die by a quick bolt to the head and a slit throat, after a lifetime of pampering and kindness. Apart from the fact that this is a lie, where they are coming from is irrelevant. All animals destined for food have the same destination. Maybe it is a small slaughterhouse, maybe just someone with an axe, but it is in no way ever pretty or humane. When they are exposed for abuse, companies say almost exactly the same thing: It was a one off thing, the fault of a handful of employees, not the norm. This excuse starts to wear thin when you are looking at months of footage. 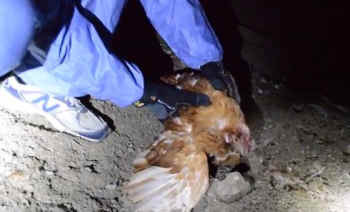 See Whole Foods ‘Humane’ Farms, from three different investigations of three different farms. https://www.youtube.com/watch?v=m6evYD7d58A, https://www.youtube.com/watch?v=yU4PJCuslD0, https://www.youtube.com/watch?v=byb8WjknZxw. These farms had high welfare ratings from Whole Foods. Apart from the obvious cruelty, animal agriculture can never be humane. It involves the separation of mothers and babies, mutilation, and unnecessary killing of sentient individuals. Humane washing is the industry’s attempt to protect their profits by assuaging consciences, to keep the public buying their products.